For weeks, airline crews have been warning passengers not to use or charge Samsung Galaxy Note7 smartphones. Now the Federal Aviation Administration (FAA) has taken it a step further, banning the devices from commercial airliners entirely. Samsung has recalled the phones, withdrawn them from sale, and stopped manufacturing them, but an unknown number are still in the hands of consumers and are still being used. There have been documented instances of the phones becoming dangerously hot and even bursting into flames. A fire anywhere is dangerous, but it's a critical threat aboard airplanes. Samsung and the CPSC issued recalls for the devices on September 15, 2016 and again on October 13, 2016. On October 11, 2016, Samsung suspended the manufacture and sale of the Note7. Passengers currently traveling with Samsung Galaxy Note7 phones should contact Samsung or their wireless carrier immediately to obtain information about how to return their phones and arrange for a refund or a replacement phone. 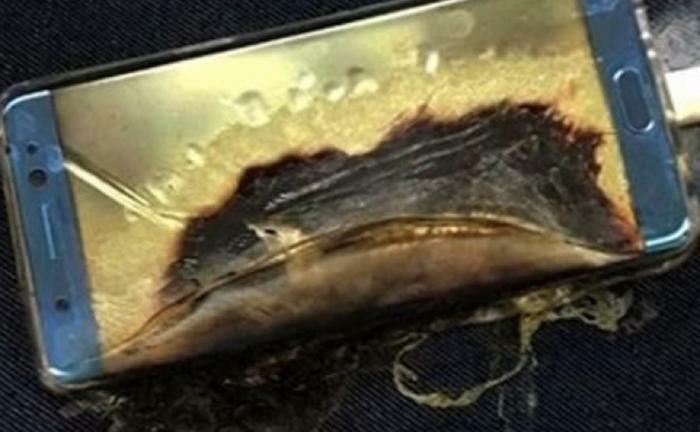 The Samsung Galaxy Note7 device is now considered a forbidden hazardous material under the Federal Hazardous Material Regulations (HMR; 49 CFR Parts 171-185), which forbid airline passengers or crew from traveling with lithium cells or batteries or portable electronic devices that are likely to generate a dangerous evolution of heat.